Now that Anthony “Rumble” Johnson has his revenge against Kevin Burns for the eye poke and loss he is set to move up the UFC welterweight ladder. 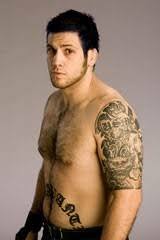 The eye poke aside saw a very good year for Johnson who had two great highlight reel KO wins in 2008. Now he is set to start 2009 off strong against the ever tough Luigi Fiorvanti. This should be a great stand up war between two very tough welterweights. The two will clash February 7th at UFC Fight Night 17 according to several outlets. MMAJunkie first reported the bout today. Both Johnson and Fiorvanti are coming off of wins and both are trying to escape being stuck in the middle of the pack in the UFC’s stacked welterweight division. The winner here would move up the rankings. The UFC Fight Night 17 event will be headlined by a fight between lightweights Joe Lauzon and Hermes Franca. 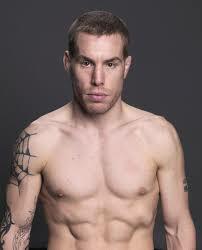 Also, the card will see Josh Neer fight Mac Danzig, Amir Sadollah return against Nick Catone. In addition, Cain Velasquez will be in action as well as top fighters such as Rich Clementi, Kurt Pellegrino, and UFC newcomer Jake Rosholt will grace the card.